Great Fishing Continues…..Get in On It or Miss Out! Monday April 8, 2019 Another great week behind us. We had a busy week and the fishing was excellent. April is one of those months where you almost can’t go wrong. Everything is getting going…..local bass and warmwater fishing, shad and stripers down east, reds and specks and other species in the salt, and mountain trout, bass, and more. Hard to choose where because so many places will be good. Good problem to have though. On 4-1-2019 I worked on on our usual beginning of the month stuff plus catching up after two weeks of being on the water almost 6 days each week. Mountain of email, messages, fly orders, things are very busy. There was a cool down, and will be for next day or two then back to great spring weather. Fishing is great and will only get even better on all waters. Perfect as perfect gets as far as conditions. Delayed Harvest waters restocking for April starting today, opening day on all Hatchery Supported waters is Saturday Apr 6. 4-3-2019 I guided a TN float/wade trip, with Mike Delissio, Winston-Salem, NC, TN tailwaters, we did a half day /morning float and had some good fishing, mostly subsurface stuff and caught some nice browns…a mix of rainbows and browns , caught a number of fish swinging wet flies also. We floated the upper section and stopped for lunch just after 1pm. After lunch we went upriver and caught some more fish with double nymph rigs. Rising fish were here and there but they were never rising consistently. Put about 30 in the net today, and Mike even landed a couple of doubles. Beautiful weather, mid 60s and sunny. We have more photos than the above on our main website fishing reports page. You can see more by clicking here . Expecting another great week this week. We have some rain coming in but it is only tonight and early tomorrow and then its out of here. It will help keep our local waters at an optimal level, so with that I welcome it. Our upcoming FLY FISHING SCHOOL on April 27, 2019 at the SUMMIT Center in Brown Summit is now full. It is an all day even we are doing with or for our friends at GREAT OUTDOOR PROVISION COMPANY in Greensboro. Looking forward to a great event. We have a busy week of trips coming up, several wade trips over the next few days rounded out with a few float trips toward week’s end. Should be a great week of fishing. As I have said for a while, time to get out fishing or you will miss out. Prime time is here, time to take advantage of it. On 3-22-2019 I guided Trip, Greg & Alexander Adzima, Boone, NC, NC Mtns, had a very cold windy day, temps were in the low 30s to start and wind blew 25 to 35mph with gusts to 50mph. Quite breezy to say the least, we still had a good day though, and it eventually got up into the 40s even though the wind never really subsided. At times you had to quit casting and wait 30 seconds so it could blow….we had a good day though. Alexander’s girlfriend Tiffany joined us also. We caught about 50 fish total, a mix of rainbows, browns, and brookies, with Tiffany getting the fish of the day a an 18-19 inch brook char. Good fishing, the water is, well, ideal or about as good as it gets. We fished til around 6pm and called it a day, covering about 3/4 mi of river. Great fishing, here are some pics…. On 3-23-2019 was the annual River Cleanup South Holston and Watauga Rivers, TN,The Bill Beazell and Allen Robbins Memorial Tailwater Roundup, presented by the Cherokee and Overmountain Chapters of Trout Unlimited and local community leaders, provides an opportunity for those who love the South Holston and Watauga Rivers to join forces and make a difference. Past years have been great successes, with members from conservation groups, the fishing community, paddling enthusiasts, and the fly fishing industry showing up to take part. A lot of trash was removed and was a much needed thing after the flooding of the past several months littered the banks and bottom with tons of new debris. On 3-28-2019 I guided David Carter, Greensboro, NC, NC Mtns, early start and David and I were in the river before 8am. A heavy frost and chilly start but the fishing was great right from the start. Water temps are optimum and levels are as well and temps in the a lot of places are in the upper 40s to around 50F. 50F where we were at midday and that means hatches. Good dry fly fishing should be coming any day now. We had a stellar day putting about 50 fish in the net, a mix of browns , brookies, and rainbows but mostly rainbows. caught some large fish, the largest a pair of nice rainbows, one of them a citation sized fish. Nymph fishing is simply on fire…..no other way to state it. Best weather day of the year so far, 66F sunny, no wind, zero humidity. It was great. Another long day, up early, in late….but that is what spring is like…! Here are some photos…..
On 3-29-2019 I guided Patrick McDaid, Greensboro, NC, NC Mtns, another day of incredible weather, warm, it was mid 50s to start which was kind of nice….very nice. Patrick and I fished two different small streams. Water levels are fantastic, about as ideal as it gets, and most places are what I’d call normal level and even a few, if you can believe it, are running lower than you’d expect, what I’d call slightly below that….a shocker given how wet the year started off. Water temps range from mid 40s to around 50F and bugs are hatching like crazy. Saw a lot of rising fish today, and that is typical of warmups and falling water. We did great and caught a ton of fish, some nice wild browns as well. Capping off a very busy week, here are a few pics…. Its now April and I am working on our usual beginning of the month stuff plus catching up after two weeks of being on the water almost 6 days each week. A mountain of email, messages, fly orders, things are very busy. If you have messaged me and not heard back I am getting caught up and will get back to you. Lots of 18-20 hr days here lately…..crazy season has arrived! Cool down next day or two then back to great spring weather. Fishing is great and will only get even better on all waters. Perfect as perfect gets as far as conditions. Delayed Harvest waters restocking for April starting today, opening day on all Hatchery Supported waters is Saturday Apr 6. It has not only the insects that you will find to be active but also what flies match them. Of course, a lot of waters its more about presentation than the bug per se. But there are times, and we’ll all encounter them if you fish enough, where something a bit closer to what they are eating is needed. But those aren’t the majority of situations. The most notable thing about the current conditions is that we are primed for the best dry fly fishing of the entire year any day now. I saw more risers this week than any previous to now, and the reason is warmer temps and falling water temps. A continuance of both of those things will yield more and more fish rising. Right now, water temps above 4000′ are still low to mid 40s but that is warm enough for fish to be actively feeding and nymphing is great right now with dry fly fishing coming. Water temps between 2000′ and 4000′ are in that key upper 40s to low 50s range that yields bwos, dark caddis, and our largest clinger type mayflies….most notably Grey Fox, March Browns, Lt Cahills, and more, and I have witnessed many of those already hatching. Our lowest elevation trout waters in those 1400′ to 2000′ elevations(front slopes…i.e. Mitchell, Ararat, Wilson, East Prong, Stone Mtn Creek, Catawba R, Elk Fork, etc.) are already in the prime low 50s and reaching mid 50s on some. Prime dry fly action exists and will continue and soon we’ll see all our ‘yellar’ bugs (local vernacular) made up of sulphurs and Lt Cahills. On the tailwaters, blue wings continue mixing with black caddis and we are already seeing a few sulphurs pop if you can believe. The Watauga caddis hatch is upon us and so is the South Holston sulphur hatch. Looks like warm weather coming so that will only serve to speed things up. Time to get out and fish. Our calendar is filling up. We have a couple of open April dates week of April 8th and last week of April, and May will soon be totally full. We are filling summer dates daily as well so if you want a date time to grab one while we still have openings. WEEK of 3-18 to 3-25 Preview….. Going to be a good week, if sun is what you have been waiting for. Chilly yes, but good fishing weather absolutely. We have a full week of trips slated, conditions are great, about as good as you could hope for. Small streams , Delayed Harvest waters, and tailwaters are all fishing great, I’ve been on all just about everyday the past week and it was stellar…..
Had a great start to the week and yesterday’s trip with Dr Terry Massagee was outstanding. Hard to imagine better. Here is the fishing report from yesterday and the cold day of fishing in the NC mountains. Terry and I met bright and early, it was cold, really cold, right on the heels of a cold front that swept through on Monday. Other than feeling chilly, it didn’t bother the fishing, as it shouldn’t have. Its spring, time for them to eat and for us to fish. Today was proof you don’t have to wait on “perfect conditions” and in fact, if you do you will miss out. It took about a half hour for the sun to get above the trees, and when it did it was game on. We covered about a mile of water and all of it produced. Some spots we’d catch two or three fish, others as many as 8 to 10. The first half of the day produced about 40 fish, two of which were citation (20 inch) rainbows, several nice native browns, some quality brookies. We took a break for lunch and had a nice lunch streamside, and it also had warmed up significantly. We ate quickly but enjoyed it greatly, we took little time because there was more work to do…..catch fish. After some difficult climbing down a treacherous ravine, then a tough riverbank, we started in one of my favorite places to fish late winter/early spring. It produced several fish, maybe a half dozen or 8 fish, but one of them a lifetime fish. Terry made a cast to a spot where I have caught large fish before. He made the cast, set the hook, and the fish came up close to the surface. It was a leviathan of a brown trout. A huge female brown, the fish rolled under the surface and then it was on. For the next 8 or 9 minutes Terry played the fish. I walked him through every move, give line, take line, rod up, rod to the side. He followed perfectly, and in about 8 or 9 minutes the largest NC brown trout I have ever had a client catch lay in my net. The closest to a three foot brown I have ever come in NC. The fish ate one of my custom Dead Squirrel flies, a longtime favorite of mine and many clients for decades. I tie and sell these. Had a client catch one of this size a few years back on the upper South Holston in Virginia, and a couple in TN close to that, but never in NC. Had one years ago in Chinqapin Lake in Ashe Co that was 27-28″ but never a 30″ fish. This one was beyond that. A great fish, a lifetime catch for most folks who flyfish.We had a great afternoon after that, catching another 30 fish or so, including two other rainbows that were in the 18-22″ range. A killer day, we netted about 80 total on they day….epic fishing by any definition. Here are all the photos from yesterday…..on our fishing reports page here we have a short video clip of Terry and his giant brown and the release….pretty sweet. Check it out here . Weather is great folks. It is cold in the mornings, but minimally wet now and minimally so over the next few days. Of course, we’ll be fishing regardless. Cold or nice. Wet or Dry. Fishing is on fire and with dropping water levels and warming water temps both the bugs are becoming more active and the fish have put the feedbags on and are munching like wildfire. I’ve said before and will reiterate, we are experiencing one of the best spring fishing seasons we have had in some time. All things point to things continuing to be that way. Right now our March has been full for some time, and our May is nearly full. April will soon be full as well so don’t miss out if you are thinking about a trip. Hope today is a great one…..! Fishing Has Been On Fire…. Monday March 18, 2019 ….. Best way to state it, fishing has been on fire. Going to be a good week, if sun is what you have been waiting for. Chilly yes, but good fishing weather absolutely. We have a full week of trips slated, conditions are great, about as good as you could hope for. Small streams , Delayed Harvest waters, and tailwaters are all fishing great, I’ve been on all just about everyday the past week and it was stellar…..and clients caught a ton of fish. On 3-13-2019 , we had the first day of our annual spring NC Trout Bum trip, and those joining me were Dr Pat Burney, Ted Linczak, Tim Moore. We had a great day, sun , warmer, cloudy later in the day, zero rain…..water was clear/green and high, fishing was stellar from the start. We fished a variety of nymph rigs, double nymph rigs, and even had some excellent streamer fishing too. Fish have not been pressured and fishing is real solid right now. Today was an 80-90 fish day, with two 20 inch brook trout landed by Ted the big fish of the day. Here are some pics…. On 3-15-2019 I did a tailwater high water float trip with Ted Linczak. Ted did the two day trout bum trip and decided to stick around and he wanted to do a float trip on the big water on the South Holston. TVA still dumping 4100 + cfs (normal generation amount is 2400-2500cfs, the river is in the trees. Fishing was on fire. Ted wanted to do a streamer float, which is what we did, we did the lower 10 miles of river and had a great day. 300 grain sinking lines and big rods and big flies…..plus fishing them in the right spot and we ended up having a 60 fish day on streamers will a ton of nice fish caught, several of which we 20 inch and larger browns. One rainbow in the mix otherwise it would have been a brown trout event totally……Caught all our fish on one of my Olive Double L streamers, they simply ate it up. We did the close n precise game, using some of the techniques I used for years on some of our big rivers in Eastern NC striper fishing….and works like a charm. We had an incredible day of streamer fishing, ask good as you could hope for. It rained heavily in the morning before we started, but it quit and remained cloudy til 2pm when the sun came out. The fishing was good regardless. Sunny 64F and that is hard to beat after all the nasty weather we’ve had. Here are some pics of our day…. Our March calendar has been full for some time and April has a few openings, but I suspect they too will be soon full. We have a very small handful of days still open in May for anyone interested. Booking up a little faster than in years past, going to be a great spring! There are many things that get the focus or attention of fly anglers that get the attention owed to them….we all love hatches and the great dry fly action that comes with them. Some love the aggressive eats of a pre or post spawn trout , be it a brook trout, rainbow trout, or my personal favorite…brown trout. Some like low water terrestrial fishing in summer…others high water nymphing in early spring. But there are some things that have a profound effect on fishing, and are worthy of the same attention of the things I mentioned above. Yet few know about this one. I’d say if you lined up 10 experienced anglers up in a line, almost no one would know anything about this. I’d say the same for flyfishing guides. Yes, fly fishing guides. There I said it. So what is this “thing” I’m talking about? It is called Behavioral drift. Basically, it is when insects leave the substrate /bottom and enter the water column and drift with the current. This activity occurs daily, seasonally, annually, and so forth. But the fact that it occurs goes largely unnoticed by the angling community. There’s a reason our nymph fishing on trout waters is really good during our early season. One, the bottom is more densely populated with insect fauna right now than at any time of the year. Most if not all insects who hatched last year and successfully laid eggs those eggs are now fully developed or nearly mature insects. Those are ready or will be ready to hatch. And they drift in large numbers. There are several categories of drift that entomologists are familiar with: Catastrophic drift, where high water or floods displace numbers of insects; Behavioral drift as a result of activity, be it feeding activity, moving from one spot to the next when food supply dwindles, avoiding predators (other animals and insects), and so forth. There’s also distributional drift, which is thought of as a method of dispersal. That is once eggs are laid in the riffle areas of a stream the eggs hatch and then the nymphs as they develop and feed they will enter the drift occasionally and move to other areas of the stream thereby preventing the depletion of a food supply in the place they came from. To sum it up, this is all drifting activity not associated with an insect emergence. It has been my experience in the early spring to mid spring time frame that this drift activity, collectively, has a great effect on fishing. Fishing is excellent, and the fish are well attuned to this activity that most folks aren’t even aware is occuring. They just notice the nymph fishing is really good, but they don’t know why. Drift occurs daily, and there are, from what entomologists often tell us, and the ones I know reiterate this, some definite times of day that this activity is more prevalent. Insects drift on and off throughout the day but a large part of this occurs during the low light hours and overnight. Often significant activity occurs very early in the day, waning a bit during the daylight hours, then picking up again nearing sunset, once again reaching significance in terms of impact. Light often retards some of the activity, and even moonlight can suppress some of it. Fish do notice this, and will often feed heavily on the drifting nymphs, and often in areas in the shallows where you wouldn’t normally expect to find large fish, particularly gravel strewn edges with weed patches, shallow tailouts of large, flat , deep pools, and so forth. To the angler who knows this is occurring they can catch some tremendous fish in very shallow water, and often sight fish to large fish who are feeding in response to this. 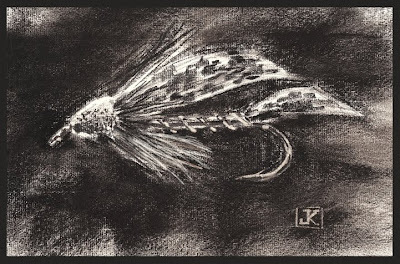 I have personally witnessed this phenomenon on the South Holston River in East Tennessee, where large fish gorged themselves on the drifting ephemerella invaria (sulphur) nymphs that were visible in huge numbers in the water column in the shallow tailout of a pool I was sight fishing to fish in. I had actually heard of drift from a friend, professor, fellow angler and gentleman I once worked for at the Fly Line Fly Shop, Dr Jim Sellers. Jim was a master angler, to this day the best I have ever known, and who I name as a mentor having more influence on my early fly fishing endeavors than anyone. Jim is still the only person to this day that I have ever heard mention it. Certainly a fascinating thing drift is, and its probably the reason you have enjoyed great early season nymphing, and particularly early in the day. A lot of research has been done on drift. There’s a great paper or research piece that explains a bit more about it, and its an article called “Invertebrate Drift-A Review”, which was published in Hydrobiologia, January 1988 and revised by Dr JE Brittain in 2017, University of Oslo…a joint paper written by John E. Brittain and Tor Jan Eikeland, Zoological Museum, University of Oslo, Norway. This is now located at the Murray-Darling Freshwater Research Centre, Albury, NSW 2640 , Australia. If you desire to look into it further, you can find this article online. You can also download it for FREE. Wednesday February 27,2019…Of course , that is what a fishing guide is always going to say , right? Well, its true. Things are shaping up, have cleared up, and we are back to fishing. The past two weeks, here has been the scoop…. We made a return to cooler (seasonable) weather…..that warm weather may feel nice but we do well in cold weather, and very little competition from other anglers! Small stream and tailwater fishing has been good, we had great days the past month in all kinds of weather and anyone who has ventured out with me has done well. We are catching numbers of fish, and some trophy sized fish as well. When you have been guiding for three decades you find ways to work in all kinds of weather, the bills gotta get paid. We catch fish in all weather. Stoneflies, early browns and blacks, continue to be active as well as Aminephura, sp. and Allocapnia, sp. stones, the little 18 and 20 sized flies that pour off all our small streams and DH waters in winter. Fish are munching them, one of our trips during the past week with Dr Pat Burney we put 50 fish in the net , mostly with these little flies. I custom tie them, and I sell them. They work……. As far as tailwaters , they continue to fish great, we have put over 60 20 inch fish in the boat on our floats streamer fishing since early December. Its been phenomenal. When its not streamers, the nymph game has worked well, along with some small blue winged olives and dry fly fishing that are always a winter option here and there. And its not over. Tailwaters never freeze, and there’s hardly a time you can’t find some fishing on them. There we have fished in everything from teens and blowing blizzard of snow to 60F and sunny…..and caught fish in all of it. Lots of fish. On the 15th, I guided David Carter, Greensboro, NC, on a float trip in Tennessee. David and I dropped the boat in around 845am and shoved off, didn’t take long to get into some fish, we had great nymph fishing the first half of the day. Caught fish on deep rigs, two nymph swivel rigs and bounce rigs, did well with both. First half of the day we caught a nice mix of rainbows and browns, probably 3 dozen or so before breaking for lunch. There were olives beginning to hatch as well. No rising fish yet, but that would come. We pulled over and had a nice hot shore lunch, just before the anticipated 2 hours of low water we thought we’d get based on how TVA has been releasing past couple of days. We had lunch, and just as we finished the water began dropping as the flow dialed back to 285 then 366 giving us three solid hours of great fishing ahead. We caught more on nymph rigs, then switched to dries and caught some on dries, then moved our way down river and switched off to a light low water nymph rig that I love to use on intermediate flows /sluice flows. David started hammering fish on that one too, and we caught a good many fish on that rig, eventually making it down to one of my favorite stretches where we caught more on the same rig. About 415/420pm the water came on again or had eventually made it down to where we were and it went back up to full flow. We put up the light rigs, got out the heavy nymph rig we started with, and went right back to hammering fish on that. It was excellent. Probably around 5 dozen or 60 fish on the day. No bigs, I think our best fish was 15 inches and that is a quality fish anywhere, especially being a wild fish. Great day…. These trips we cancelled because the particular location we were headed to was either high and muddy or blow out, and all were super extreme cases of that….because we go unless its an extreme situation with flooding, muddy water, or travel issues (snow and ice) getting to and from the river. Rain, heavy rain, all day rain, part of the day rain, snow, sleet, you name it we fish in all of it and don’t cancel trips based on that unless it is absolutely unworkable. Anything less, we’re fishing. 2-18-2019 FISHING REPORT – Guided Trip, Ron Davis, Paul Briggs, Winston-Salem, NC, NC, ppd high muddy water where we were fishing, a shame though tailwater fishing is fine! Wet has been the theme though, and to beat a dead horse I’ll share all of this again. If this weather has you down you are gonna have to learn to fish in the rain if you want to fish, or at least learn to overlook it. 2018 was a year of record rain and record fishing. Yes, I said that, record fishing. We had great fishing with all the rain……this year will be no different. Those going anyway will find opportunity, that is , those willing to go to plan B or plan C when plan A doesn’t work out. What does this look like? Like planning to fish river A and fish one way but being willing to go to plan B or C and fish another way. Flexibility is key. We are in a wet period, I am not suggesting fishing in flood conditions or red muddy water. But what I am suggesting is fishing right up to that point. Fish still eat in those conditions. Some fishing is better in those conditions than on your ‘perfect’ day. What does this look like specifically? You wanted to wade a small stream but the only option is floating tailwaters…or vice versa. This is going to be another spring where if you don’t fish anyway you might not fish. We are in a wet period, 2018 was a record wet year…wettest on record. 2019 is already starting ahead of that. While wishing for the perfect conditions day is always at the forefront with and for our clients, perfect rarely ever happens. If we waited on that we’d guide three days a year. Fishing is an outdoor sport in the elements. To reiterate from the above we are now only canceling due to these factors……. (1) those where the road conditions (ice , snow) make travel to or from fishing dangerous, and (2) flooding or muddy water to the point that catching fish is not possible…all others we will go anyway or fish in an alternate location or alternate type of trip. No cancels due to it just being a rainy day. We have always been super flexible in every case, and in most cases not requiring a deposit, but we are having to make some significant changes because when someone cancels its often last minute and no way we can fill the spot on such short notice. That’s hard to swallow when there were other people who don’t mind fishing in less desirable conditions and would have fished on that day or who we could have booked for that day. On a different note we have been steadily working on the launch of our fly business with a site and social media pages . Actually I have tied and sold flies for decades but making it a larger and separate entity …. things are coming along nicely, lots of flies going out the door! Some new logos that I have been playing around with, as well as getting things up and running. Fishing has been good also on the coast. Shad have shown up in some of our southernmost coastal rivers and the redfishing has been epic. My son Ben has been in the reds , catching a lot of them on fly. He and his best friend, Capt Jud Brock, who runs Muddy Fly Guide Service, and who he used to live with on Wrightsville Beach has been in both the reds and the shad. He and Ben had some good fishing day before yesterday. They have some openings also….folks interested can book with Capt Jud here . Here are some of them…. NC Delayed Harvest waters will receive their first spring stockings beginning Friday March 1, and stocking will continue through mid month until all waters have been stocked, these waters can be fished at all times and are never closed during any season. Hatchery Supported waters will close to fishing on end of day Feb 28,2019 and these waters will be stocked through the beginning of April and will reopen to fishing on Apr 6, 2019. 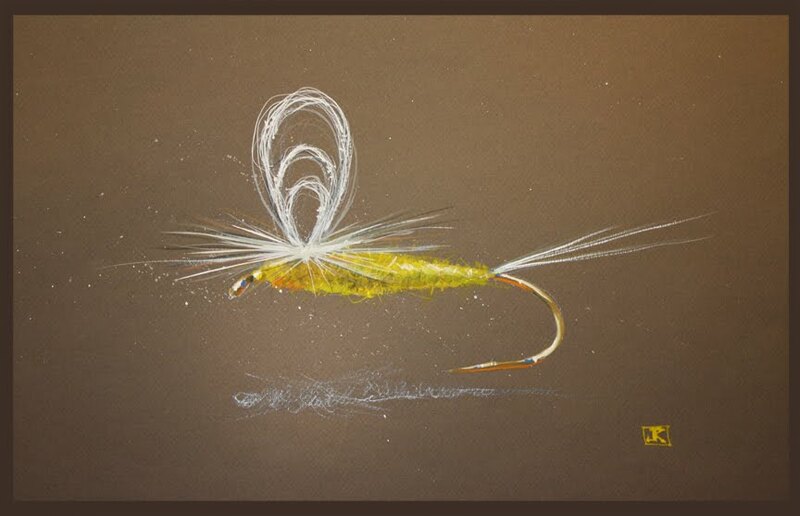 Among the bugs that are active this month, there are…..Baetis (BWO) size 18, Blue Quill Size 16, Quill Gordon size 12-14, Hendrickson size 12 -14 (only lowest elevation waters front slope), Early Black Stones size 14 -16, Early Brown Stones size 12-14, Dun Caddis size 18, and Midges in sizes 20-24 and darker shades. Click here for a FREE printable March Hatch Chart for our Appalachian Waters. This applies to NC waters, tailwaters will differ slightly. Its going to be a good week and upcoming month. Our March calendar is almost full, as are April and May, and they soon all will be. Our dates are going fast, as always 12 months of calendar of availability is always listed here on our website. Going to be another great spring. Wednesday February 13, 2019 ….Keep on keeping on….that’s what we’ve been doing. Have had a busy week continuing to churn out some huge fly tying orders……going blind in the process! Been getting a lot of request for streamers and tailwater flies we’ve been hammering the browns on, and never sold so many large flies. Its been great. Folks are finally figuring out that for larger fish you are better off sometimes throwing the big stuff. Not your ordinary size 6 , 8, and 10 wooly buggers or stuff like it….4 to 6 inch meat flies. Something that says to a predator that its worth taking a chance on. Had some great days small stream fishing with Dr Pat Burney , Greensboro, NC, NC mtn wade fishing and we had ,great weather. It was warm, water was up a little but we had great conditions, we caught a ton of fish, probably 50 or so, and fished two different waters. Water levels are up but clear and the fishing has been, and was, and will continue to be good. Good is an understatement, it was great. We caught our fish on a variety of double rigs, small dark nymphs (my BnB nymph, SDs, small dark CJs with a bead, Skinny Nelsons, etc, all worked). We landed several quality browns, some wild fish, and a few big rainbows, including one that was a tank….that ate a tiny fly also. Majority of fish ate the little stuff….normal stuff for January. Rainbow spawn is in progress on wild waters and lower elev waters that have a mix of hatchery and wild fish. Great day though…. After the warm few days we had a mild cool down, cool front and some light drizzle push through the mountains and a change back to more seasonable temperatures and with our excellent water conditions we’ll have great fishing right through it very likely without skipping a beat. A great winter fishing season continues, and no sign of being any different. Lots of great winter fishing left, spring isn’t here yet even though a lot of the trees in the mtns are already heavy with developing buds. Things are thawing, the ground has been frozen for a while and lots of water locked up in the ground, the thawing ground releases in a ‘slow drain’ fashion fresh, green water into the river. Its great for the river and everything in it. Had some good end of the week streamer fishing with client Dr Jim Kramer, and we did a full day float on the lower South Holston and had a great day, in high dirty flows as the river was in full generation level plus still high and dingy from the nearly 3.5″ of rain that fell Thursday evening. The area wide had some significant flooding as well. We had lots of debris in the river on Saturday but we still did well. That didn’t stop us from pounding out a good day. It was cold, in the 20sF to start, and we had ice in the guides until well after lunch time, but the fishing was good. We caught less numbers but some big fish, one truly large buck brown that is one of the best of 2019 thus far. We fished sinking lines, the real heavy tips (300 -350gr plus) and some big meat patterns. Probably landed 15 or so but half of them were large fish. We pulled into the ramp at sunset…. today was yet again proof why we don’t cancel when the conditions are less than ideal. Jim put his PB (personal best) brown in the boat , along with several others…..
Return to cooler (seasonable) weather…..that warm weather may feel nice but we do well in cold weather, and very little competition from other anglers! Small stream and tailwater fishing is good, we had great days the past month in all kinds of weather and anyone who has ventured out with me has done well. We are catching numbers of fish, and some trophy sized fish as well. When you have been guiding for three decades you find ways to work in all kinds of weather, the bills gotta get paid. We catch fish in all weather. This week should be another good one, dry few days to start, some rain late week, but nothing major. Stoneflies, early browns and blacks, continue to be active as well as Aminephura, sp. and Allocapnia, sp. stones, the little 18 and 20 sized flies that pour off all our small streams and DH waters in winter. Fish are munching them, one of our trips during the past week with Dr Pat Burney we put 50 fish in the net , mostly with these little flies. I custom tie them, and I sell them. They work……. As far as tailwaters , they continue to fish great, we have put over 60 20 inch fish in the boat on our floats streamer fishing since early October. Its been phenomenal. When its not streamers, the nymph game has worked well, along with some small blue winged olives that are always a winter option. And its not over. Tailwaters never freeze, and there’s hardly a time you can’t find some fishing on them. There we have fished in everything from teens and blowing blizzard of snow to 60F and sunny…..and caught fish in all of it. Lots of fish. Pics don’t lie. But don’t take my word, make me prove it. Let’s go flyfishing! Cold wet few days the past few days but things have settled down and cooled down a notch further. Have a bunch of trips coming up, should be a great few days….we’ll certainly be shooting for that. We row Sawyer oars exclusively……I row the Sawyer Squaretops with Shoal Cut blades and wouldn’t row anything else. They’re great! Monday, February 4, 2019 That would be the theme of the winter so far. Fishing right through. Those who know me know I fish in anything in terms of weather, and fortunately some clients will also. Interesting too that fish don’t do what they do when we want, they do what they do when they want. Their world is one of eat or be eaten, and basically they do those two things …..eat and avoid being eaten, or eat and be eaten, a third, and that is spawn, and finally a fourth, rest when they are not doing those things. So outside of that they don’t do anything else. But the point is they feed when we aren’t willing to be out…..thus, we catch fish in all kinds of weather. Because for them, eating is life or death….and getting enough. Have had some up and down flows but great fishing the past two weeks. The brown trout spawn is done, and rainbows are beginning that right now. Fishing has been superb on many of our trips. We have caught some huge browns. Eight weight rods, heavy lines, bigger flies, and that has been getting the job done. It has been fun and anyone who has been out with me has been rewarded with a stellar outing. Had a good Friday/Saturday two day float trip , guided Trip, Ted Linczak, Summerville, SC, TN float trip, Ted has booked a ton of days to throw the big stuff and has been rewarded with some great fish and fishing. The streamer fishing bug continues, flows permitting. Ted had planned to fish Friday and when Saturday was also open he stayed for that as well. Two days of floating, just short of 23 miles of river. Two totally different days weather wise, Friday was 30s and snowing all day….Saturday was pleasant, cloudy then party sunny and 60F. Couldn’t have had two more opposite days. Spawning areas that have been closed since Nov 1 reopened as well. We streamer fished a lot on Friday, and had a brief spell of 2hrs when the water was off that we nymph fished a bit and caught some fish doing that, and also tossed some dry flies to rising fish too. Then the water came back on and we picked up where we left off with the streamer game. We are having a significant mild up the next five days, and the temps all the way through Friday are going to reach 60sF in the mountains and low 70s over in East Tennessee. Great time to get out and do some fishing, we have openings all week also…..Right now Tuesday 2/5, Wednesday 2/6, Thursday 2/7, and Friday 2/8 are all open/available. Don’t miss out, some great fishing is available and not many folks out….fish aren’t getting a ton of pressure so its a great time to fish.